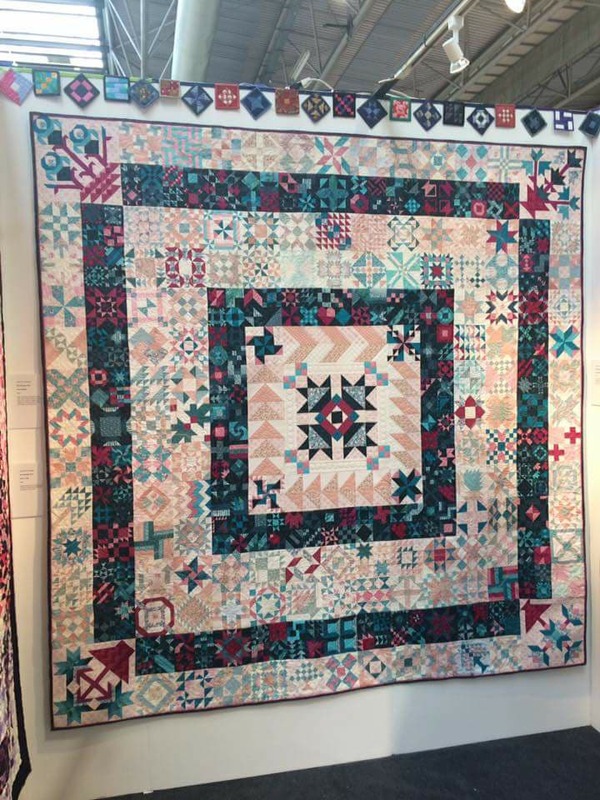 The 365 quilt project began in 2016. 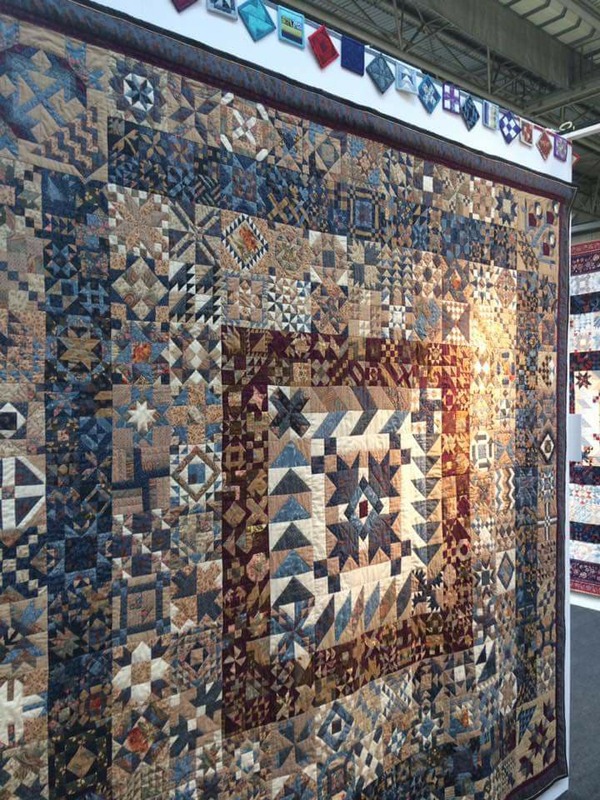 Designed by an Australian quilter, Kathryn Kerr, as its name suggests, the 365 quilt features one quilt block per day. 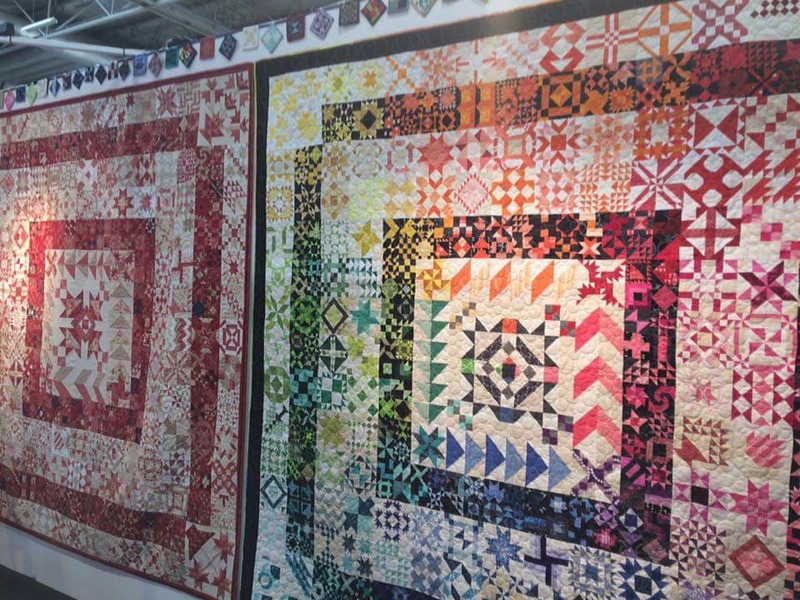 Kerr diligently released a quilt block pattern every single day of 2016. Quilters around the world rushed to make their own 365 quilt, including me. Here’s an image of what a full, completed 365 quilt looks like. 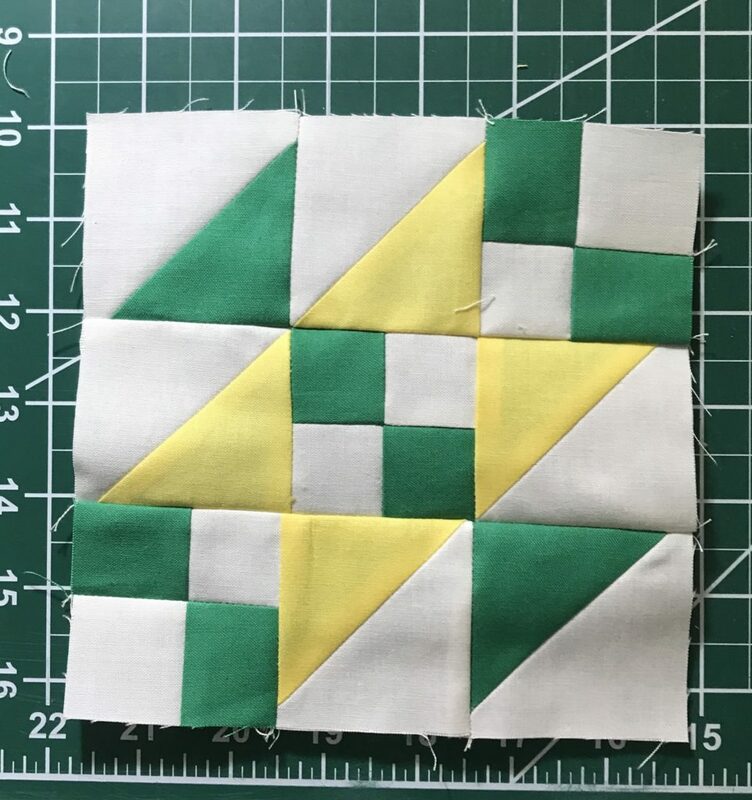 As what happens quite often with my quilt making, I made the first few blocks and lost steam. Several of the other QuiltGuy quilt retreat members started 365 quilts, but we all abandoned the quilt project at some point. Abandoned might be too strong a word for my own 365 project. I pushed pause to work on other quilts, but I knew I’d come back to it. 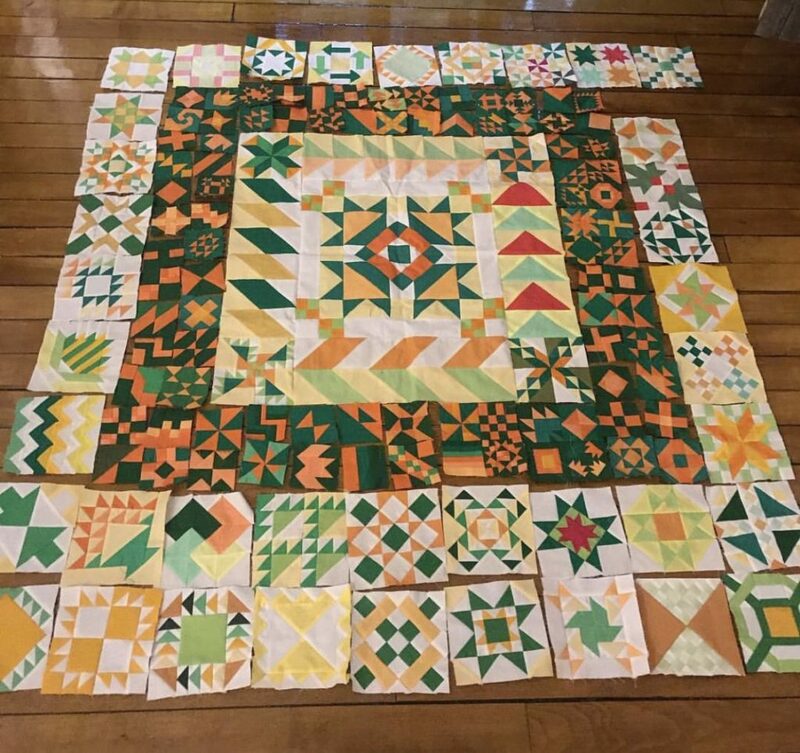 In 2017/2018, I made more blocks, and now I’m back to making yet more 365 quilt blocks. I’m up to June 9th. I just made this block tonight. 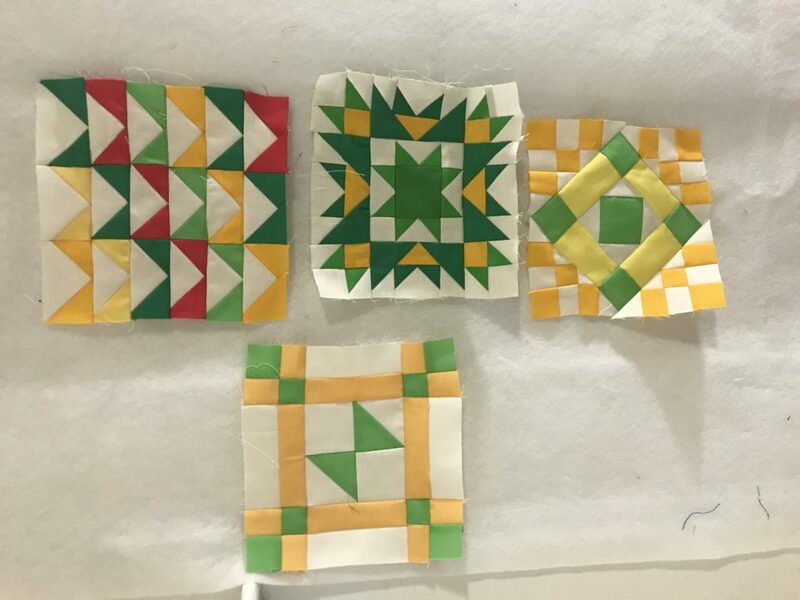 And in the past week or two, I’ve made these other blocks for my 365 quilt. Here’s a photo from several months ago with all the blocks I’d made at that point. 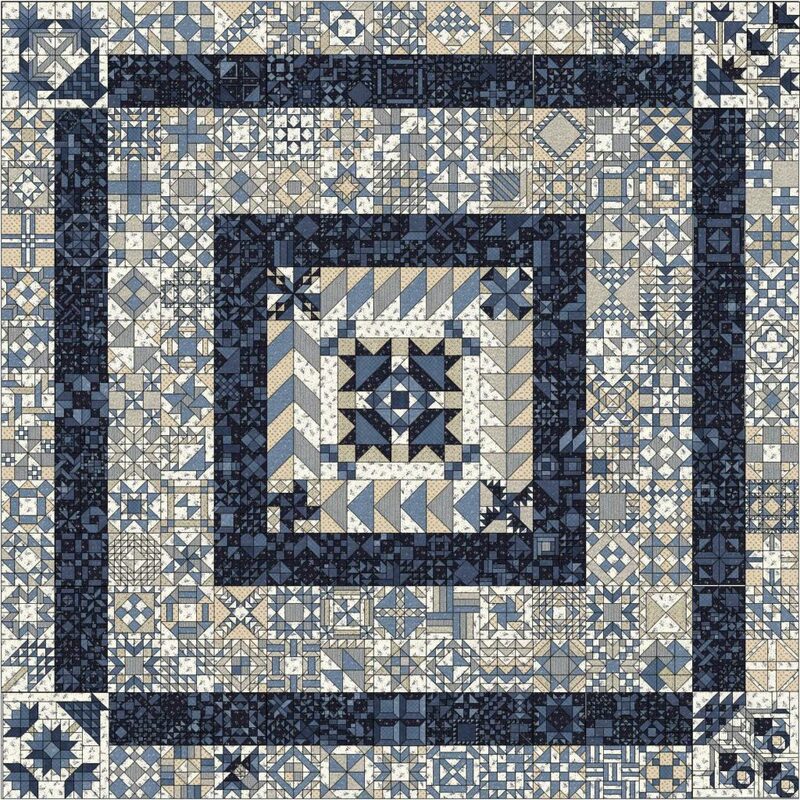 Finally, if you decide to make your own 365 quilt, I strongly recommend this Facebook group of 365 quilters. 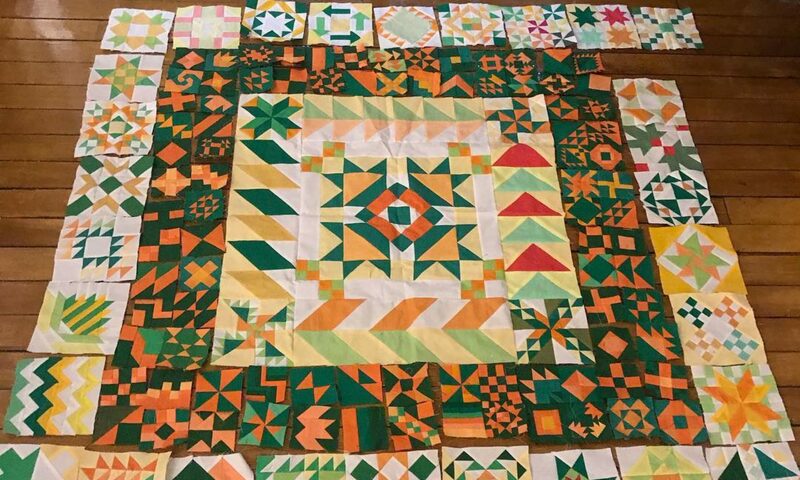 And if you want a little more inspiration to get started, here are a few finished 365 quilts made by members of the Facebook group. Finally, here’s a video of Kerr discussing the 365 quilt project.